So here it is, the favorite everyone has been waiting for, the #1 recipe in my Top 30 favorites - Strawberry Pie! Not just any strawberry pie, but my Grandma's Strawberry Pie! This pie doesn't just taste amazing, but it brings me back to my childhood every time I make or eat it. When I first started KettlerCuisine, this was one of the recipes I knew I had to post. I struggled with the recipe for a while since Grandma didn't leave very detailed instructions, but relied on my experience in the kitchen and my Aunt Liz to figure it out. I miss you Grandma! During strawberry season, I make this pie almost every week. Poor Hubby doesn't get much variety on desserts during that time, but he doesn't mind it. At the peak of the season, I don't even add sugar to the strawberries, I just let their natural sweetness shine through. 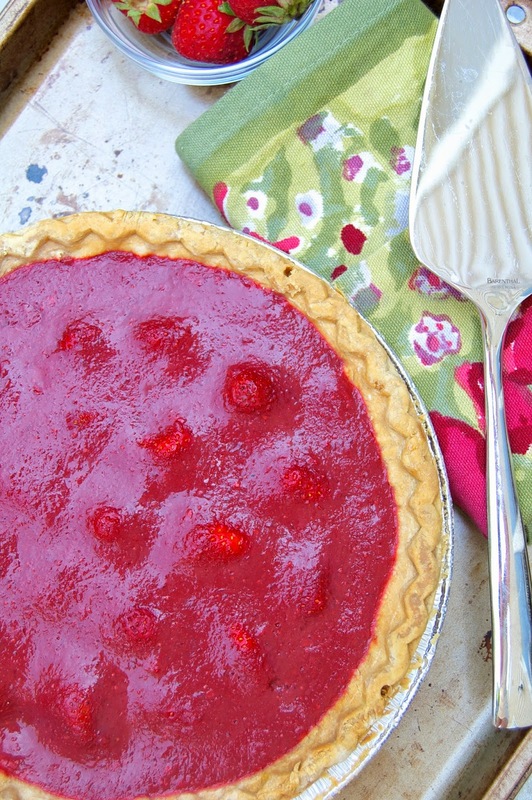 I couldn't think of a more fitting #1 favorite for the Top 30 than Grandma's Strawberry Pie. I CRAVE it every year, I MAKE it every year, and I DEVOUR it every year! 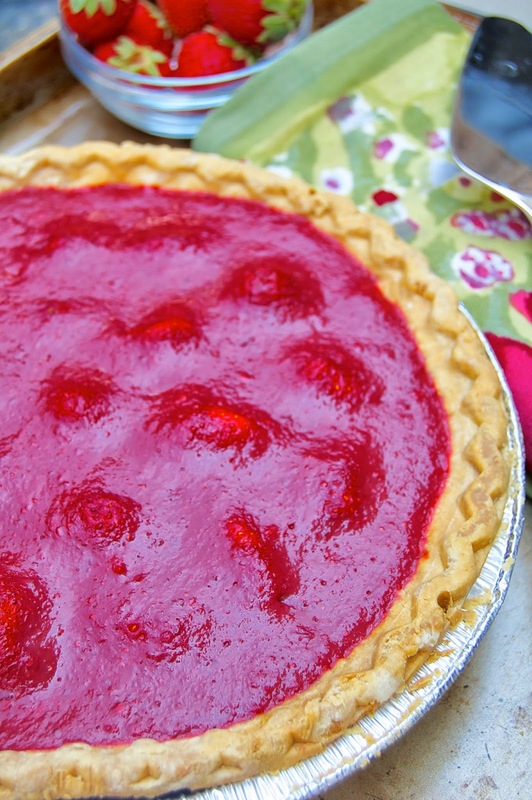 Find the recipe for Grandma's Strawberry Pie here. OK, now time for me to go celebrate! Hopefully you have enjoyed seeing me every day for the past month, but I am going to take a little break now and party!! Cooooooookies!!! 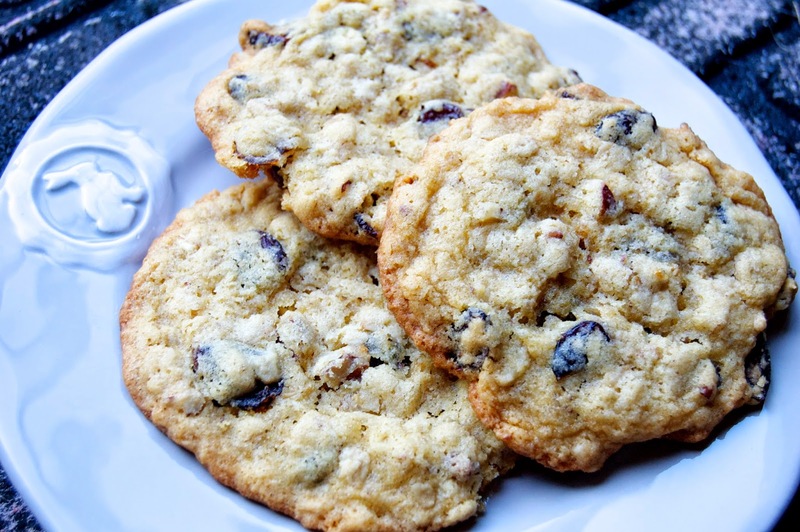 This recipe is definitely not gluten free, but is my favorite cookie from growing up. Like myself, my Mom doesn't bake except during the Holidays. 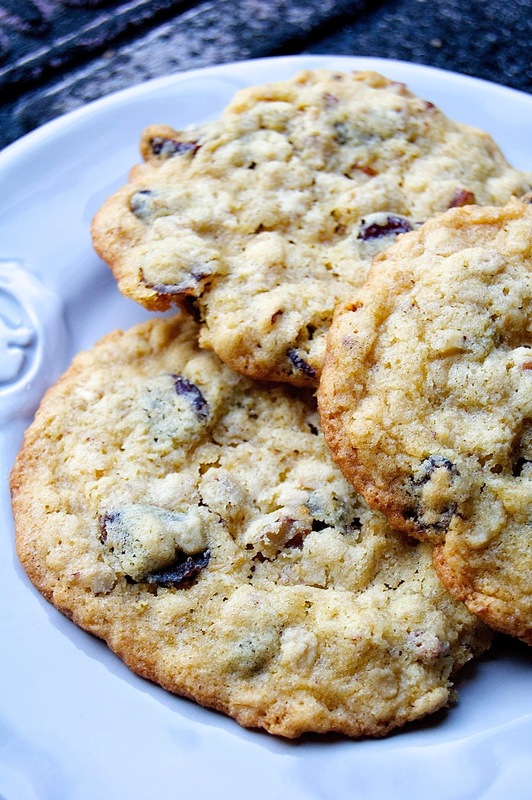 Ever year, I get so excited for these Cherry Walnut Oatmeal Cookies. They are amazing and worth the wait! I've made these cookies so many times, and so many times I've found myself thoroughly enjoying them. In fact, there have been many times when I find myself out of one or two ingredients, but have made substitutions with no problems. This recipe is very versatile, which makes it great to have on hand. I've substituted gluten free flour for regular all purpose; maple sugar for brown sugar; pecans for walnuts; dried cranberries for dried cherries; and so on. Even though we are six months away from the Holidays, I might have to make these cookies for a little birthday treat! 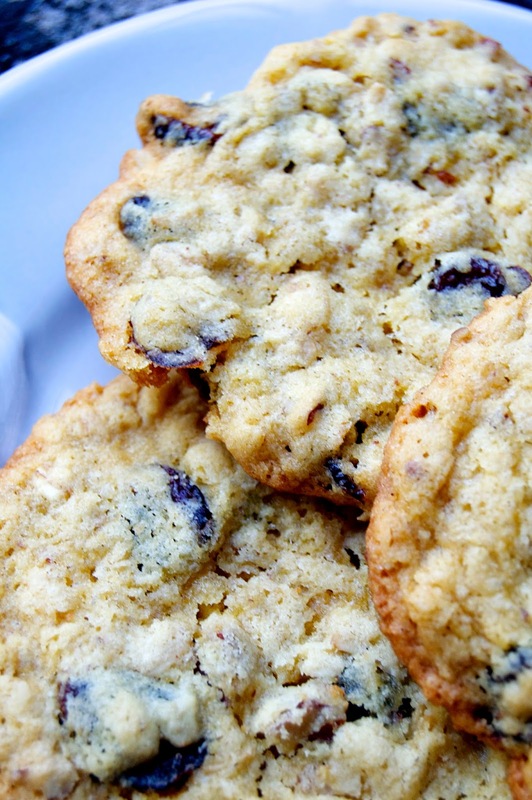 Find the recipe for Cherry Walnut Oatmeal Cookies here. I Pho-reaking love Pho and only started enjoying this deliciousness about two years ago. I have not tried to make this dish yet, but this is definitely on my "kitchen challenge" list to work on eventually. Pho is on the Top 30 list because I enjoy it every time and have several days where I even crave it, even in the summer time. This spicy, flavorful, broth-y, Vietnamese soup packs a powerful punch. It is a labor of love that takes hours, often days to make. There is a small place in Raleigh called Pho Far East that makes the BEST Pho ever. The Hubby and I go there often and order the same thing every time. We even get it as take out. Surprise, another cocktail! I promise I don't drink all day, every day, but I just had to include this in my Top 30 countdown. Again, another Mama Rose inspiration, The Cosmopolitan. I am not claiming that she invented this cocktail or anything, only that she perfected it! I still love to pretend like I am Carrie in New York City at the hottest new club when I am drinking it. Perfect drink for my birthday week! Find the recipe for the Rose Cosmopolitan cocktail here. Aspen and the FOOD & WINE Classic have been amazing! I love my bestie for experiencing this with me. There will be plenty of pictures and stories to share once I wrap my head around all the exciting events. 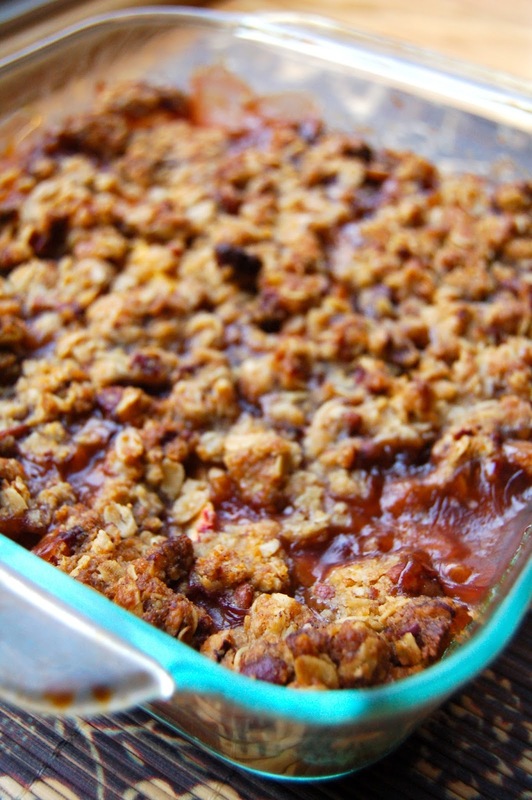 But for now, I bring you #6 and a Peach Bourbon Crumble! I came up with this recipe in the middle of peach season last summer amongst the abundance of delicious, sweet, juicy peaches that were at the market. Last Summer, the Carolina's experienced one of the best peach seasons in years, so I was buying them right and left and making whatever I could come up with! Peach season is just around the corner, so I thought it would be a very appropriate recipe to include in my Top 30 list! 5 days until I turn 30!!! 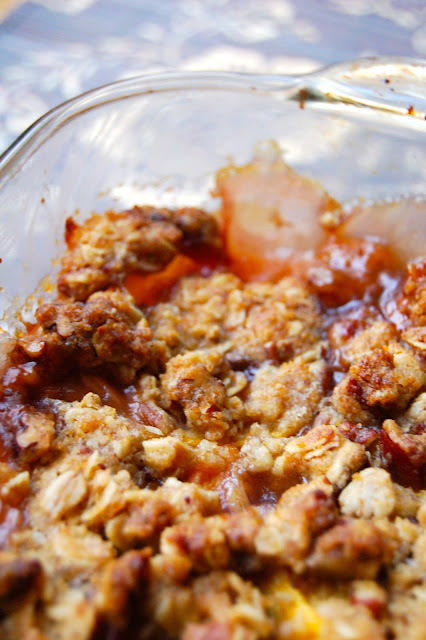 Find the recipe for the Peach Bourbon Crumble here. Coming in at #7 is a new addition to the blog, but one that I am very happy about. The recipe comes from a family friend, who enjoys food and life about as much as I do! His Grilled Lamb Chops are so simple and only require 5 ingredients including the chops themselves. The Hubby and I love to make a rack for a nice dinner treat, but they are great appetizers as well, little bite size chops that your guests would be sure to love. In fact, I think I might just request these chops when I get back from Aspen :) Hubby, get ready! Find the recipe for the Grilled Lamb Chops and some grilling tips here. The #8 favorite is for my sweet, sweet Hubby and his love for creamy dishes. But this is not an extremely creamy, not good for you kind of recipe. Today's favorite is from another one of my favorite bloggers, Smitten Kitchen. This version of Broccoli Salad has just the right amount of creaminess to it that doesn't make you feel guilty for eating it. Loaded with lots of fresh broccoli, this is a great side dish for summer picnics and parties! You can find the recipe for my version of Broccoli Salad here. Today's favorite is deliciously amazing! The hardest part about giving up gluten is not having fresh baked bread and rolls. I was dying for fluffy, yeasty rolls to eat along with my dinner and gluten free bread just wasn't cutting it! 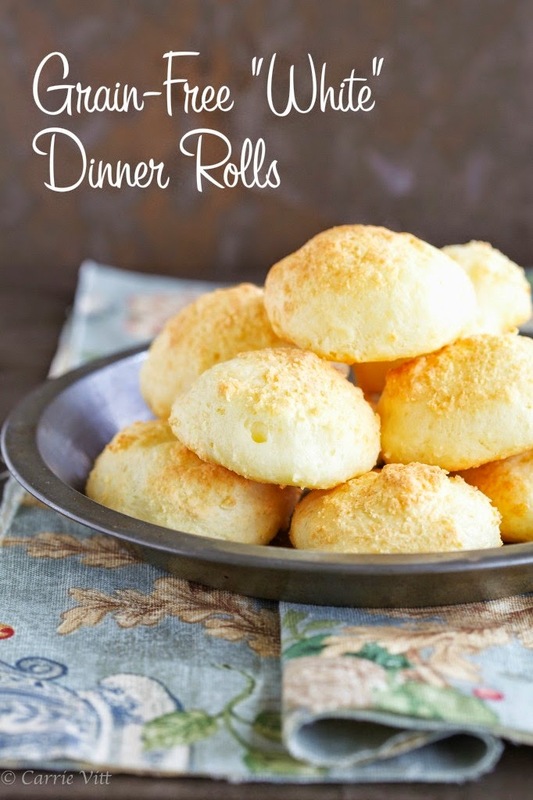 I came across this recipe for grain-free dinner rolls using arrowroot powder (which is a gluten free starch) on Deliciously Organic. Now it is #9 on the Kettler Cuisine Top 30 favorites! You can find the recipe for these grain-free Dinner Rolls at Deliciously Organic. Down to the final 10 favorite recipes!! I couldn't think of a better recipe to kick off the top 10 than this Gluten Free Almond Cake. I love it, love it! 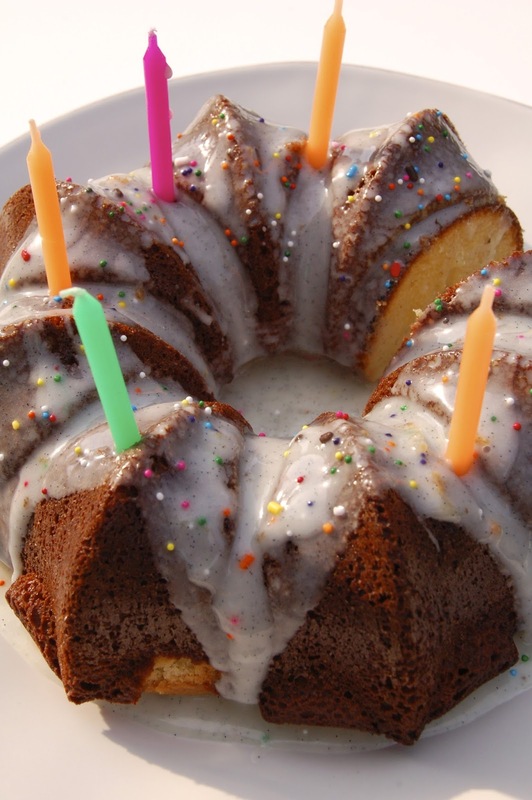 First posted on Kettler Cuisine on my birthday last year, it was, and still is the perfect birthday cake for anyone. I make this a lot, especially since there are a lot more gluten free folks in my life these days. It is super easy to make and requires 5 ingredients and a cake pan! The recipe comes from one of my favorite blogs, 101 Cookbooks, which is listed on every bloggers "Inspirations" list. And the key ingredient is almond paste, which is similar to marzipan, but NOT the same thing. I always have Solo-brand almond paste in my pantry now so I can whip up this cake at a moments notice. The Big 3-0 is getting so close! But before I turn 30, I get to experience something truly amazing, especially for a foodie like me....Food & Wine Classic festival in Aspen! For the next four days, I will be wining and dining with the culinary fields finest 8,000 miles above sea level! Don't worry, my travels won't disrupt the countdown, they just might be a bit shorter. Maybe I will get the Hubby to make this cake for my return and birthday week! Find the recipe for Gluten Free Almond Cake here. Or find the original recipe on 101 Cookbooks here. Thanksgiving is one of my favorite holidays, especially when celebrating with my Dads side of the family because I get Oyster Stuffing! Actually, every Thanksgiving we now make Oyster Stuffing because everyone in my family requests it, no, demands it! I know this is a strange favorite to include in my Top 30 list since it is such a seasonal recipe, but it is seriously one of my absolute favorite things to eat, even though it is loaded with gluten! My wonderful mother actually made a gluten free version this past Thanksgiving that was amazing. We are going to continue to perfect the gluten free version and hopefully have it ready for Thanksgiving this year. But until then, here is the original, delicious version that I can remember loving since I was a little girl! You can find the recipe for Oyster Stuffing here. The basil in my garden is exploding right now, so I am trying to use it for every little thing in the kitchen, including cocktails. I came up with this little gem last summer, during Kettler Cuisine Cocktail Month (which also coincided with my birthday). The Basil Grape Crush is a very refreshing cocktail for the hot, hot weather that has started hovering over Raleigh. This cocktail requires a few steps more than just cracking open a beer, but the flavor is worth it. Since I first posted the cocktail recipe, I have changed a few things - the vodka and the ginger mixer. I have recently become hooked on CIROC vodka (yes, this is Puff Daddy's vodka, stop laughing). CIROC is distilled entirely from grapes (no grain or potatoes), which gives the vodka a distinct flavor, and one that I really enjoy. This also makes CIROC perfect for the Basil Grape Crush. Since I am not much of a soda drinker, I don't keep Ginger Ale around the house much, even for the bar. However, I recently made a ginger-flavored Water Kefir that I thought would be a decent replacement for the Ginger Ale. I was pleasantly surprised! I realize that most people don't have Water Kefir at home, so using Ginger Ale works just as well! I personally like boozy-flavored drinks, so I like to add 2 shots of vodka into this cocktail. However, some people don't like to taste the alcohol, in which case you would only add one shot. 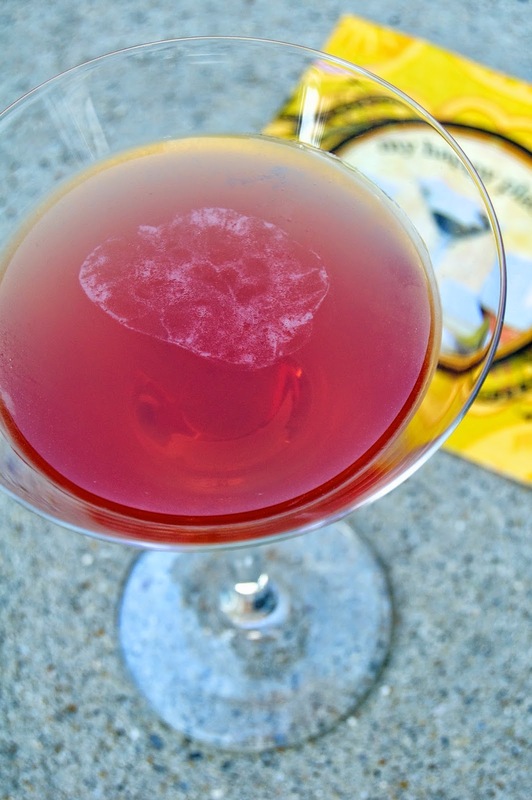 Hopefully the idea of this cocktail gets you through your Monday! 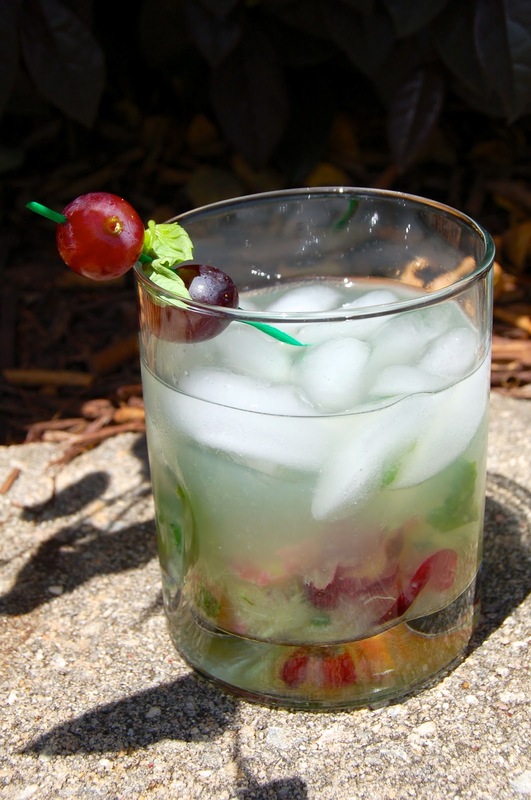 In a large glass or cocktail shaker, muddle the basil, grapes and splash of ginger kefir/ale. Add in the vodka and squeezed lime wedge (if using), then shake vigorously. Set aside. Fill a cocktail glass halfway with ice and pour in the strained, muddled vodka mixture (optional to add in the muddled grapes and basil leaves as well). Pour in the ginger kefir/ale and stir with a small spoon. Serve with more lime if desired. Sit back, put your feet up and say "Ahhhhhh!" I thought it was only fitting that the favorite on Father's day be a recipe that my own Father specializes in, Slumgullion. This is my dads breakfast specialty, that was handed down to him from his own father. Slumgullion is a fantastic breakfast to feed a large crowd and use up leftovers from the night before. It usually shows up at our family get together's. Wishing all the Father's a wonderful Father's Day and sending love to those that have lost their Father's. You can find the recipe for Slumgullion here. 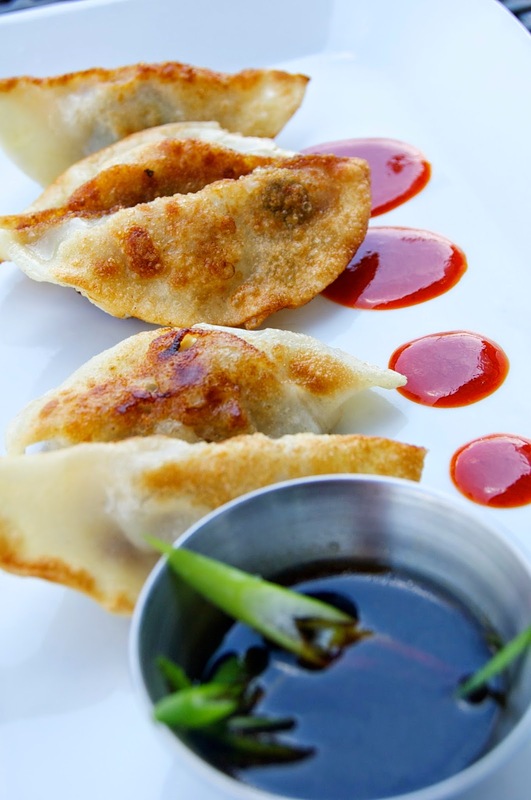 We are in the final half of my Top 30 Favorites here on Kettler Cuisine! #14 on the list is a soup that was handed down from my Mother. Not only is this soup delicious, it is about the easiest dinner to put together, so makes a perfect weeknight meal. Tortellini & Spinach Soup was another one requested by the Hubby for the Top 30 list. He loves this soup, mostly for the bacon and the tortellini, but also that it sneaks in some vegetables as well. The recipe instructions for Tortellini & Spinach Soup can be found here. There isn't much to say about today's favorite. It is possibly my favorite recipe that was "handed down" to me from my Mother-in-Law. I'm constantly blogging about how I am surrounded by wonderful cooks. My Mother-in-Law is certainly one of them, she is a phenomenal baker. I have learned many things from her in the kitchen over the past 10 years, including out to perfect the Kettler Pumpkin Bars. These light, fluffy and slightly spicy treats are perfect for the Fall, or just any ole' Friday! You can find the recipe for Kettler Pumpkin Bars here. Almost halfway through my Top 30 list! Hard to believe it is going by so fast...and that I am almost 30 years old! Today's favorite is an oldie, but a goodie. This salad was an early recipe on Kettler Cuisine and one that I give credit to my mother. She first made this salad for the Hubby and I several years ago and it has been a frequent favorite ever since. People are always surprised when I recommend this recipe, questioning my affection for fennel. Unfortunately, this poor vegetable has a bad rep, always being associated with anise and licorice flavors. Surprisingly, fennel takes on a whole new flavor profile once it is cooked and pairs very well with the brown sugar and salty pancetta. But don't take my word for it, try it yourself!! 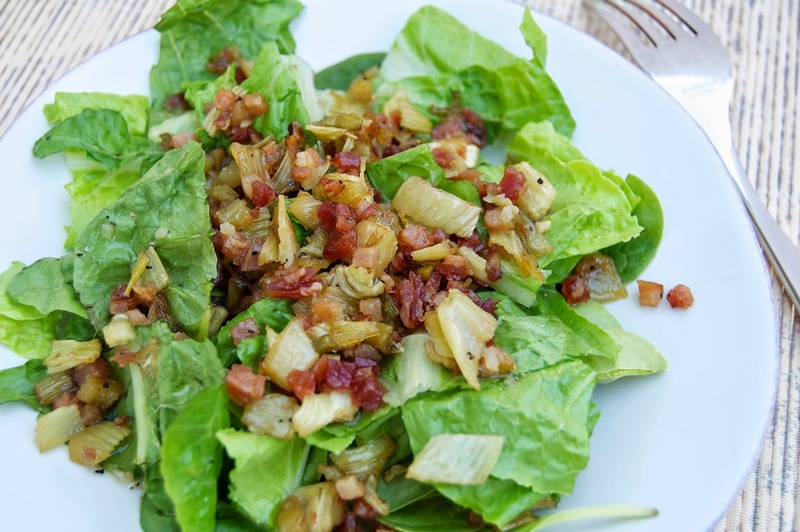 You can find the recipe for Caramelized Pancetta and Fennel Salad here. 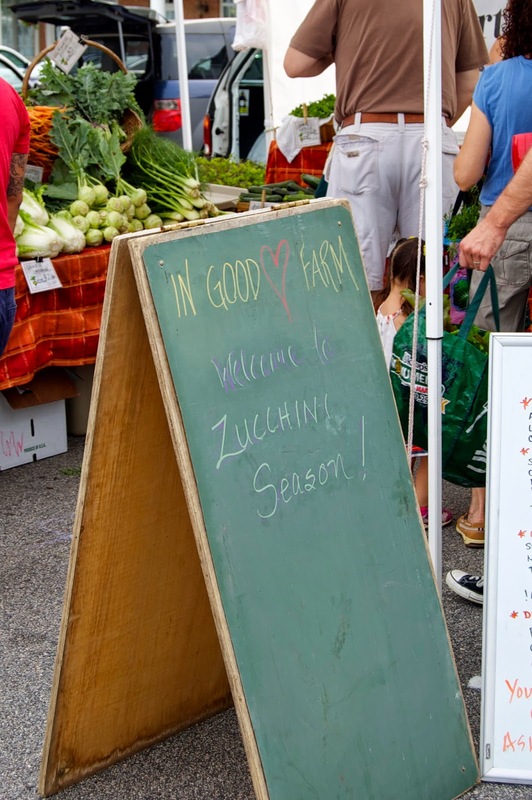 "Eat Local" is a pretty trendy phenomenon right now, which I am totally on board with. I think it's fantastic that people want to know where their food and ingredients are coming from. I also love that communities are willing to come together and support the hard work of farmers. Both of my favorite restaurants in the Top 30, Trophy and Kimbap use this approach. 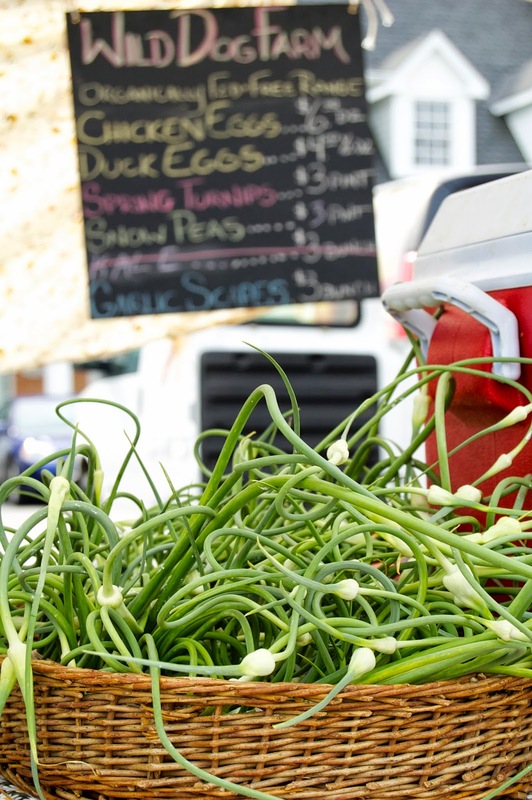 Farmers Markets play a large role in "Eat Local," especially for home cooks that want to support the movement. Even better, a lot of these local farms are practicing sustainable growing, and trying to minimize their carbon footprint. 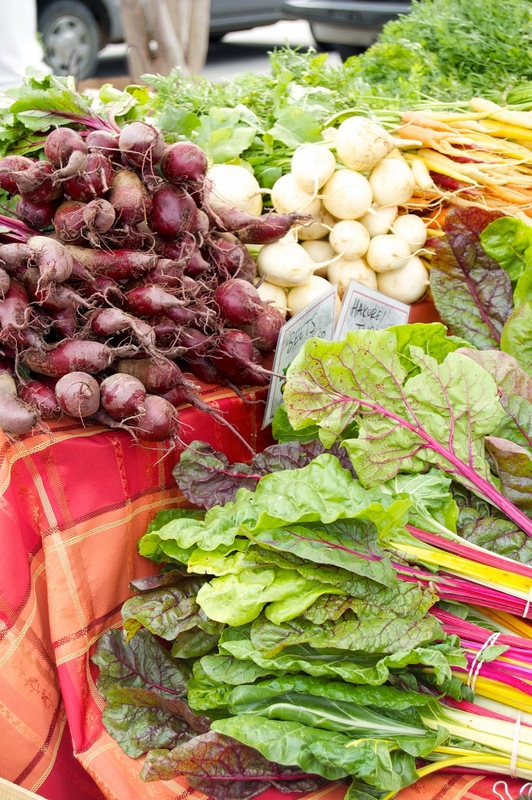 Delicious produce and helping the environment, what's not to love?!?! 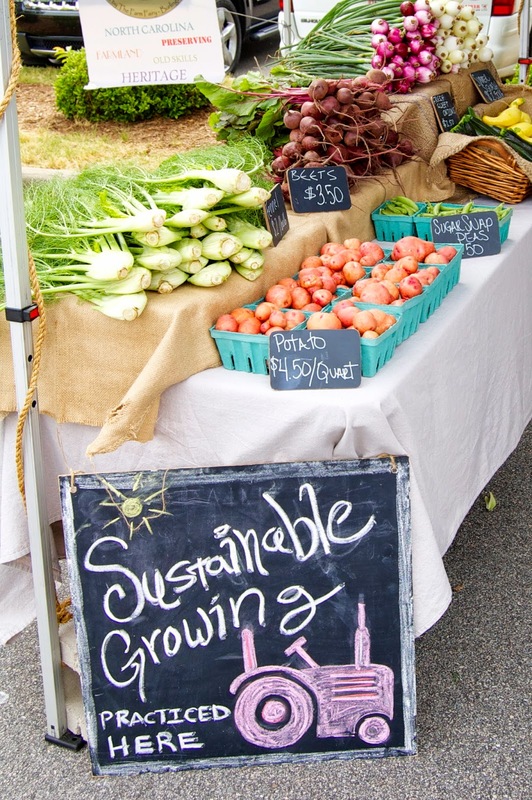 These are all reasons why I've included Farmers Markets on my Top 30 list. When I am in town, this is my favorite Saturday morning activity. I love to meet and chat with all the farmers and vendors, learn about seasonal produce, listen to cooking and preparation tips and of course, taste all the goods! 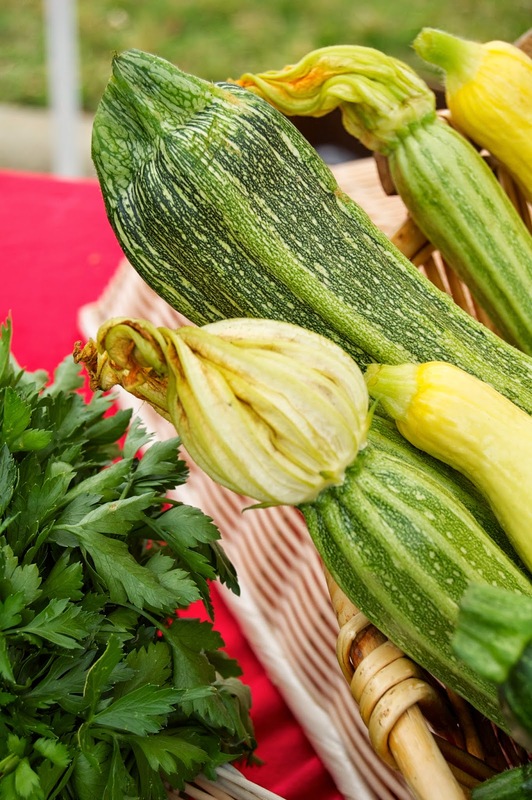 Summer is the best time for Farmers Markets because the colors of the produce are vibrant. I swear a few weeks ago, when I walked through, I could smell the red from all the strawberries! 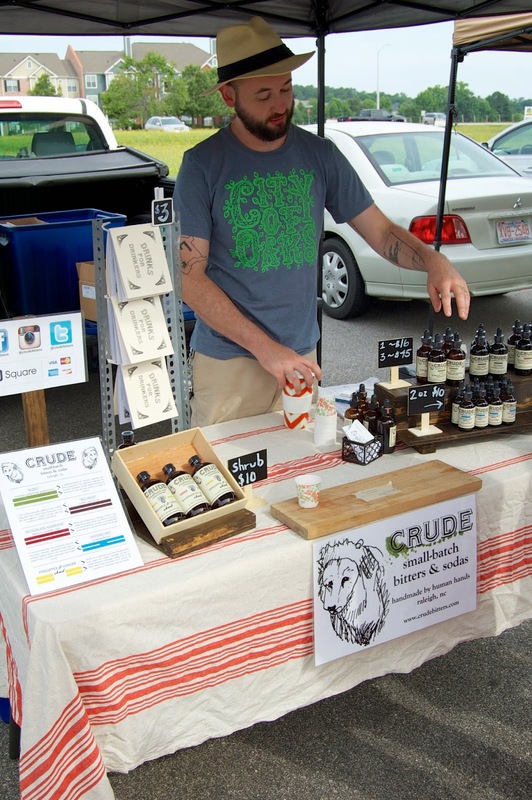 There is more than just produce at the Farmers Market though, I pick up fresh NC seafood, organically grown meats and poultry, eggs, fermented foods, honey and even a locally made bitters and soda from a company called Crude. This is one of my new favorite stops, especially now that the weather is getting warmer. This past Saturday, I tasted some of their Watermelon and Basil soda - so refreshing! 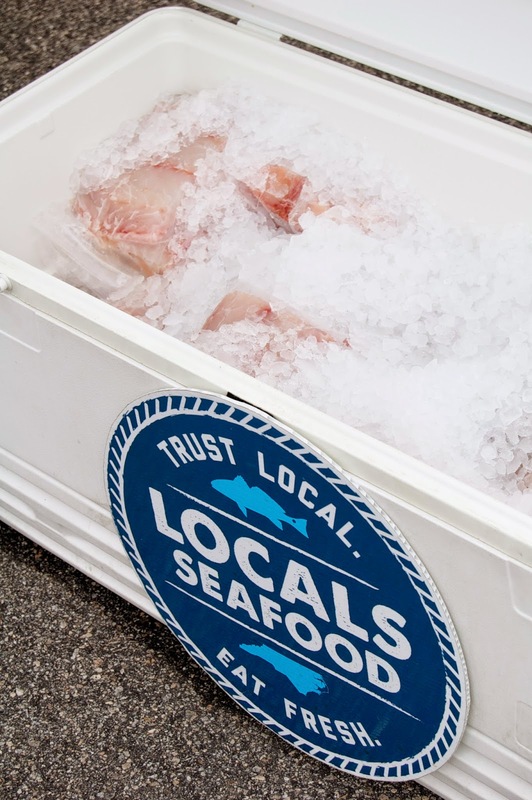 Another favorite vendor is Locals Seafood, a company dedicated to bringing seafood from North Carolina fisherman inland (aka to me)! 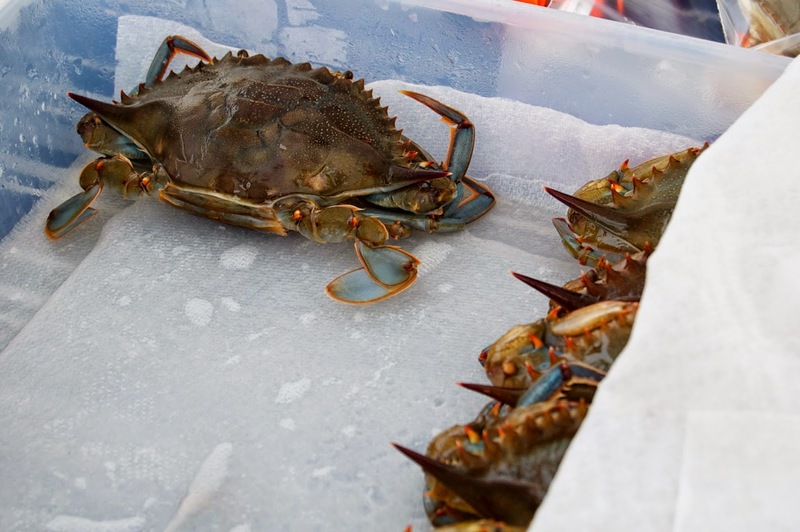 The last few weeks I've picked up soft shell crab, which we all know is a new favorite. 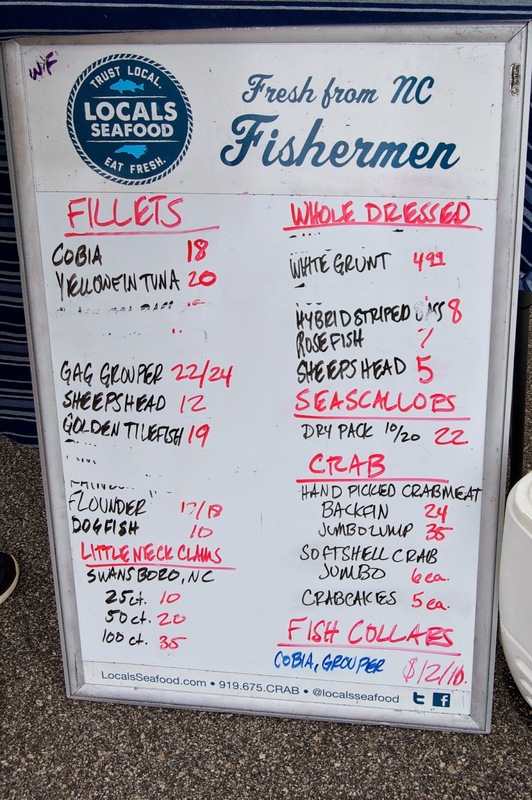 The season is about over, so now I am getting excited for NC shrimp and red snapper! Now I pre-order and pick up at the Market to ensure I get what I want. Amazing how fast their supply goes on Saturday morning!! Usually by the time I have left, I have a good portion of my grocery list for the week. I have thoroughly enjoyed attending the Western Wake Farmers Market recently, so plan on frequenting that market this summer. However, the Durham Farmers Market is a very close second, mostly because they have food trucks and music playing! As Michael Pollan says, "Eat food. Not too much. Mostly plants." I will be back tomorrow with a sweet and salty salad. Bringing in #18 on the Top 30 list is another dip that I like to make for larger get togethers - 7-Layer Bean Dip. It is a labor of love, but usually gets devoured where ever I take it. I was tired of buying it, when I knew I could make it and add in many more layers of flavors. The recipe came together after several attempts and stays in my stack of "repeats" for party appetizers. 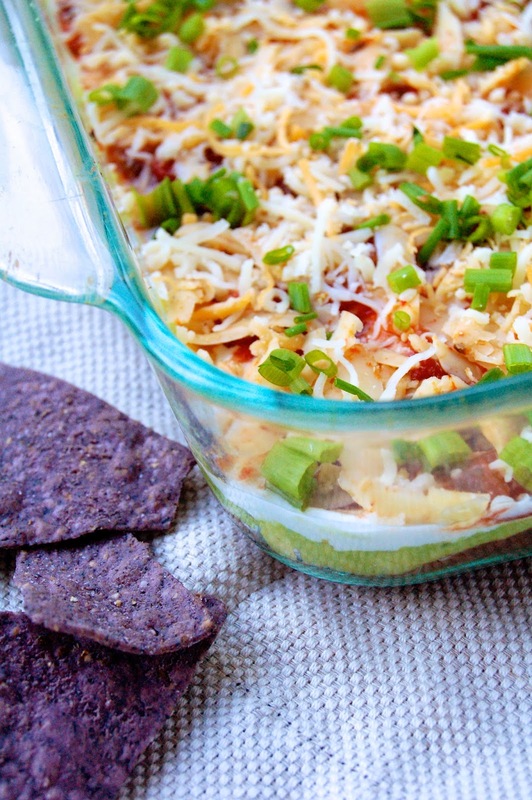 You can see the full recipe for 7-Layer Bean Dip here. Monday's are usually rough at work - first day back after a nice relaxing weekend, and catching up on emails that seem to stack up and multiply over the weekend. I always go in earlier on Mondays to prepare for the week and Monday meetings, then usually stay longer since I spend most of the day in meetings. Needless to say, a refreshing cocktail is VERY enjoyable at the end of a long work day. I am a big fan of martinis and have been for a while. Something about an ice cold, strong drink in a sculpted glass makes you feel sophisticated and mature. Considering I am counting down to my 30th birthday and getting older, a sophisticated and mature drink is very fitting. Vodka martinis are usually my drink of choice, but recently I was introduced to a vodka and gin mixture that is a perfect pairing. 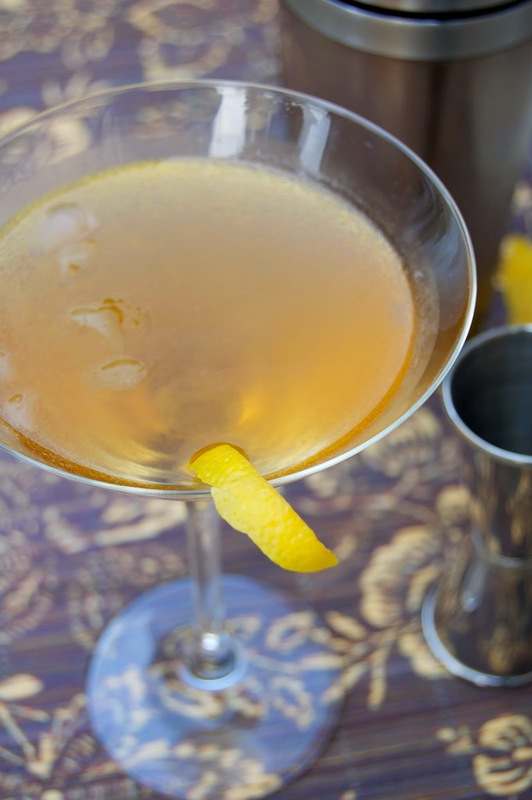 This martini even has a sophisticated name, The 007, shaken, not stirred. As I get older, the contents of my liquor cabinet tend to get a bit better. I like nice liquor and am not ashamed of it. Since I don't drink a lot, the one drink I have tends to last the entire night, so top quality is preferred. For this martini, the best vodka is Skyy Vodka because of its slight peppery taste. Then for the gin, I prefer Hendrick's because it doesn't have as much of a bite to it like most gins can have. You combine these together with a little sweet vermouth and lemon rind in a shaker and you have yourself one fancy cocktail. In a shaker full of ice, mix the gin, vodka and sweet vermouth and shake well. 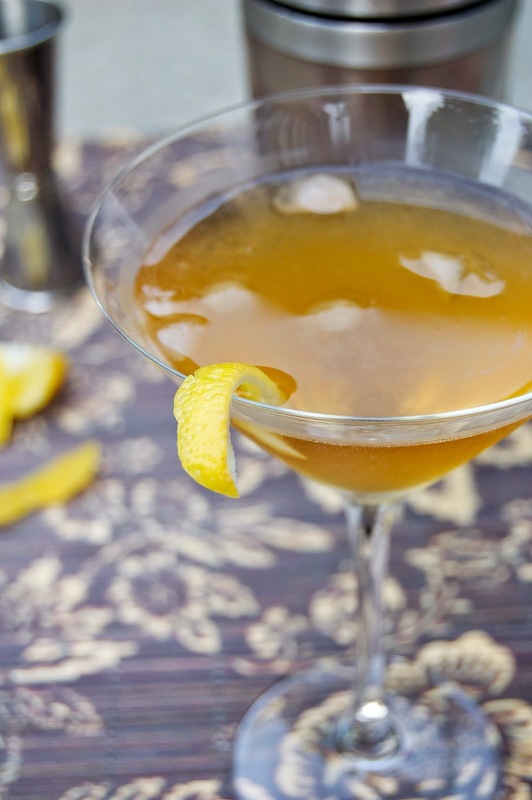 Run the lemon twist around the edge of a martini glass and then drop in the bottom. Pour in the gin mix and drink while chilled. 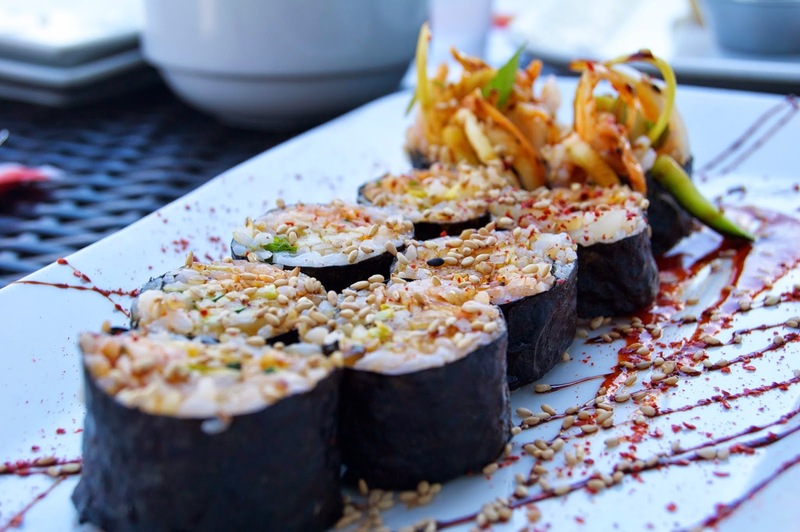 #20 on my Top 30 list is another restaurant in the area, one of the best - Kimbap. 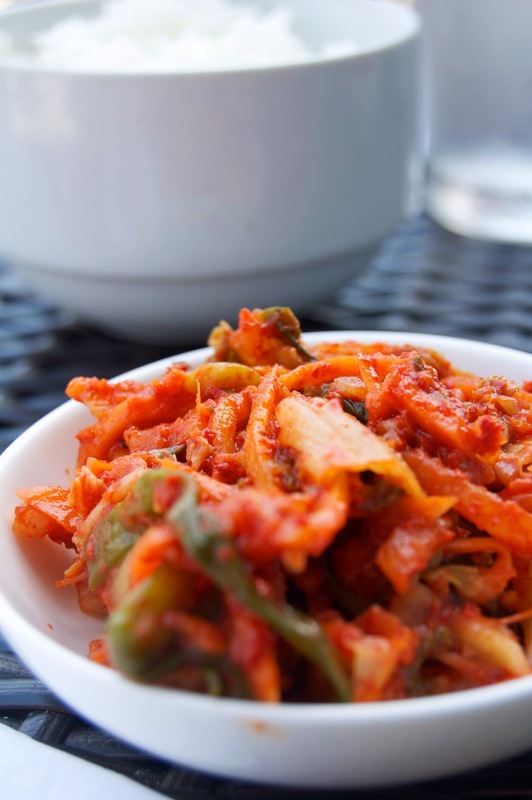 Kimbap is a Korean-inspired restaurant that uses seasonal ingredients sourced from local farmers. Oh yea, this is definitely my kind of place! I first discovered Kimbap over a year ago from one of my friends with Celiac Disease. She was so excited about this place because the menu listed gluten free items. They even make gluten free dumplings....heaven on earth! Asian cuisine is one of my favorites to begin with, so adding in gluten free and locally sourced ingredients was the icing on the cake (gluten free cake of course). Some of my family joined me for lunch there recently and we were lucky enough to be served by Kim, the owner and head chef. 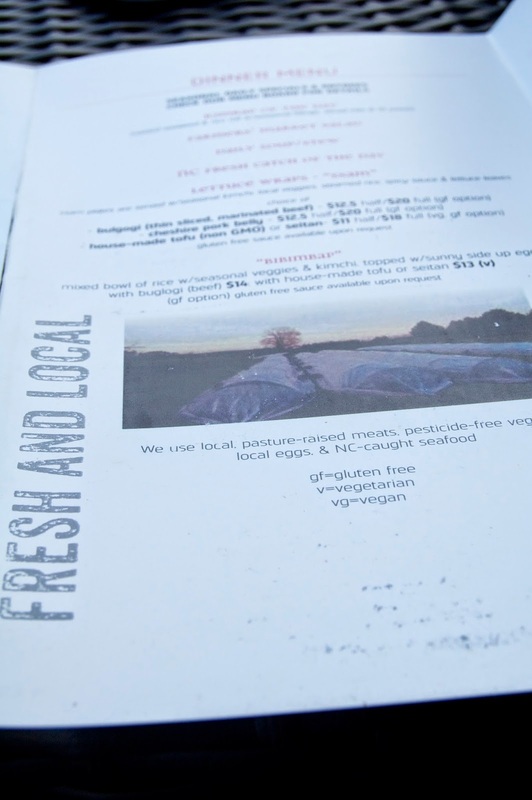 She is a very welcoming person, who fully supports local farmers and the Raleigh community. I was thrilled that I got to talk with her a bit and let her know that I was going to be blogging about her restaurant. We ordered a great variety from the menu, including some of her seasonal specials for the day. 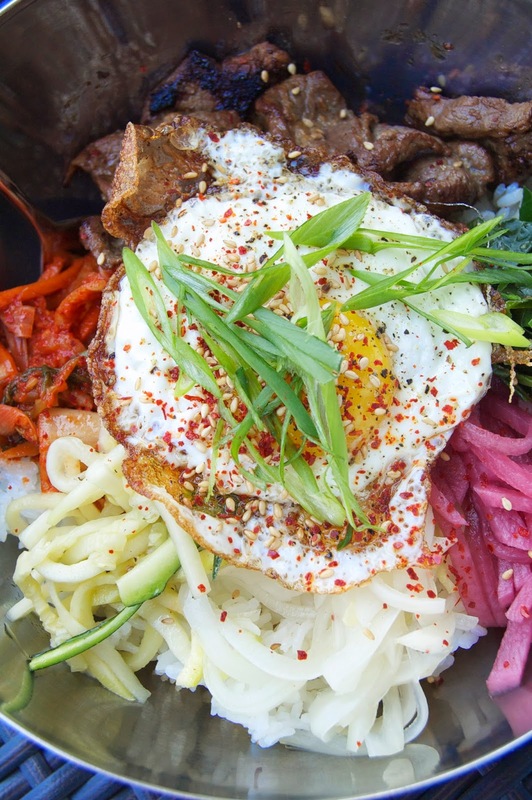 There is a variety of images in this post from our meal, but the ultimate favorite dish at Kimbap for me is the bipimbap, a rice bowl topped with kimchi, seasonal vegetables, sunny side up egg and beef. It is a very satisfying and delicious bowl, full of flavor and crispy rice. 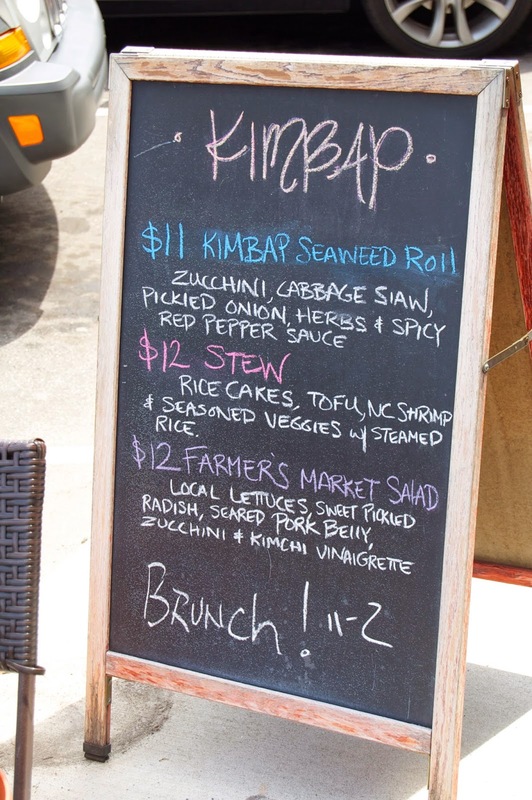 Kimbap uses local, pasture-raised meats, pesticide-free veggies, local eggs and North Carolina caught seafood. I think it is great that restaurants and chefs are Local in every sense of the word! The Hubby and I frequent this restaurant and plan on continuing to do so! #21 is a staple in our house, especially when we have the grill going. 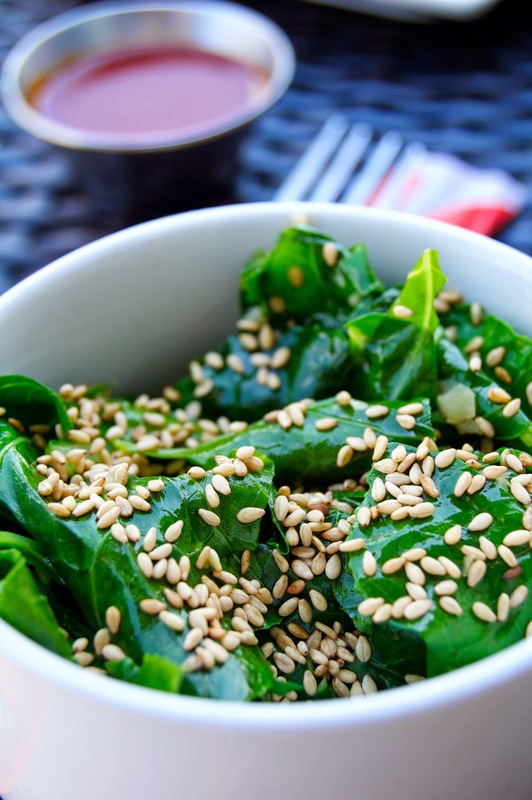 It is quite possibly one of the easiest salads to throw together. The best part is that there is no chopping required! 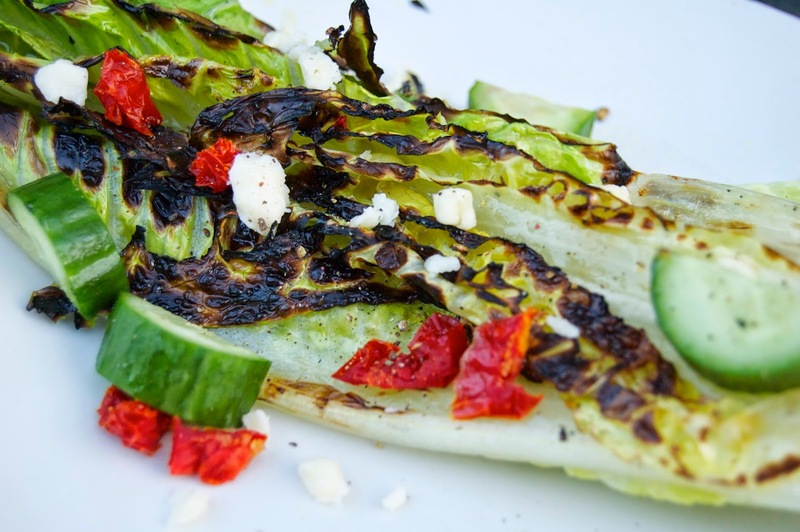 You simply place a head of Romaine lettuce on the grill and quickly char some of the outer leaves. Top with your favorite salad items and dressing, and BAM! I try to change up the toppings and dressing so that it seems like we are having a different salad every time. This one below has cucumbers, sun-dried tomatoes, goat cheese and a drizzle of some good olive oil. It's the weekend and I already have this recipe posted on my blog, so I will keep this short. 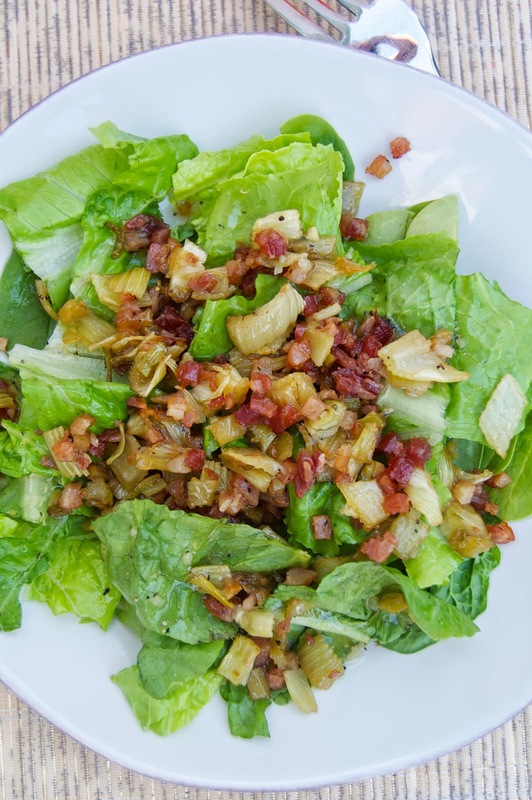 Check out how to make Grilled Romaine Salad for an easy, and impressive side dish! 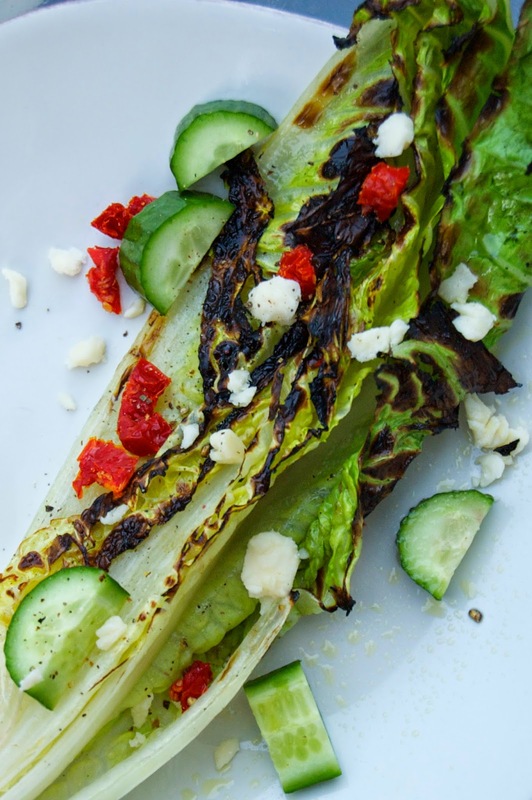 Find the recipe for Grilled Romaine Salad here.